A few years back, I travelled alone for the very first time. It was my first solo trip and I was leaving the country for a few days. I was filled with both excitement and anxiety. I knew this would be an adventure, but I also feared for my life. I had intended to go on my trip with my friends and family, but It was met with excuses after excuses. Oh I don’t have any time or money was the typical response I got. I eventually decided enough was enough. I’m going to go on my trip no matter what. So, I spent about a week planning out my trip, told my friends and family and just hopped on a bus and took off. It was probably one of the best decisions I ever made in my life. I had a blast on my trip and met lots of amazing people and experienced things I would never have had the opportunity to experience here at home. When you travel alone, you’re forced to rely on yourself. No one will be there to hold your hands and take care of you in case you get into trouble. This helps you become more resourceful, and as a result you grow and mature a lot more quickly compared to others who just stay within their comfort zones. Travelling alone requires you to talk with strangers. You won’t have your friends around to keep you company, and when you feel lonely you will want to socialize with others. This provides you with a great opportunity to meet people from around the world and network with them. You might become great friends with these strangers or even be offered business opportunities as a result of this. In the future when you want to visit their countries, you will now have a contact who could show you around or even provide you with a place to stay. In addition, your social skills will improve as well. When you’re travelling alone, you can pretty much do whatever you want. If you feel like going to that museum or concert, you no longer need to compromise with your friends or family. You won’t need to spend unnecessary funds on things you don’t want to anymore. If you want to stay for a few extra days on your vacation, no problem. Travelling alone teaches you to accept responsibility for yourself and what you do as a result of your actions. You can no longer blame others for any mishaps that happen as a result of your trip. If you have a miserable trip as a result of poor planning, it’s all on you. Likewise if you have an amazing trip, you can pat yourself on the back and take full credit for it. Travelling alone can be one of the most rewarding experiences for you if you’re willing to take the plunge. There is no longer any need to rely on others for your own happiness nor making any compromises for your trip. You’re the captain of your ship. If you haven’t done this already then I encourage you to give it a shot and try it out! 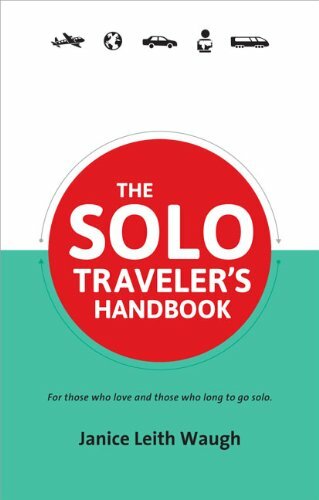 For more information about travelling solo, this book is a great resource. It contains a plethora of information such as how to plan and pack, as well safety tips. Great, succinct article. Thanks for sharing your insights. I am starting to think I should plan a new adventure... all by myself! Great! one of the best articles ever. I have to do this! Great insight. Traveling alone really does set you free. I haven't done so in a while as my wife enjoys travel just as much as I do. But, I do remember the days when I could stop for as long as I wanted, spend as much or as little as I chose and talk (or not talk) to anyone I wanted. It was a good life. Thanks for bringing back such good memories. Well done.